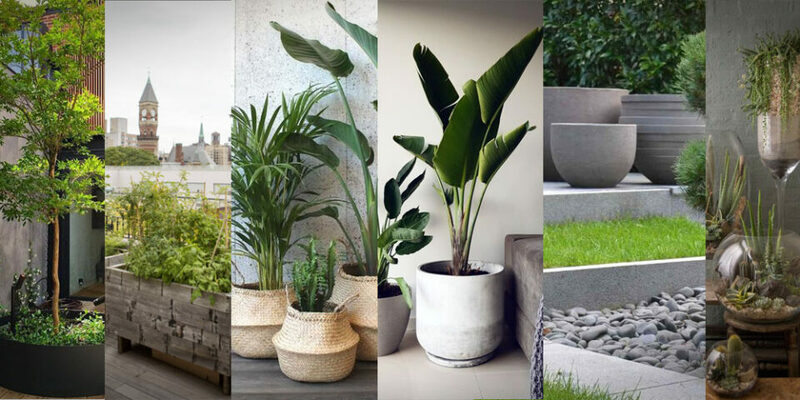 With my range of concrete planters it’s no surprise that I think Concrete is a bit of a desirable material, especially at the moment. I’m not alone though and haven’t been for sometime! 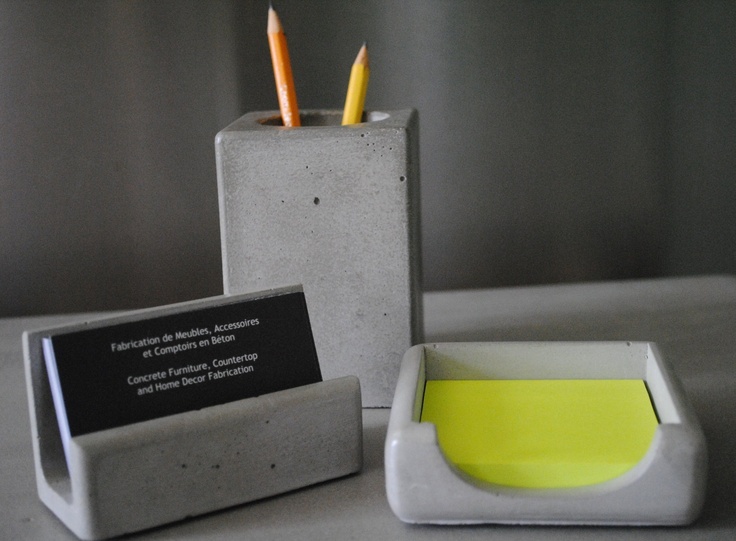 long before I was even born, the coolest of cool architects were using it all over the world to generate their building visions and today it is used in a more high street way with anything from lamps to pen holders being made from concrete. 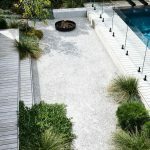 I have collected for you a variety of concrete products that I can only hope tickle your inspiration buds and get you feeling like you need some concrete in you life. 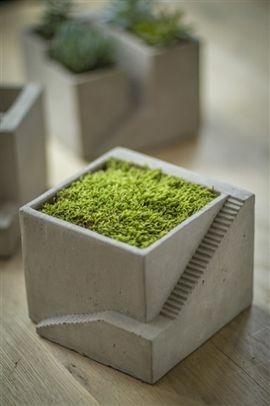 This little flower pot with built in stairs is part of a range that I have seen a few times on the net that can be combined with other designs and small characters to make little worlds, cool! I produced coffee tables for a bit and this was one of my designs. It is in fact a Kronen Bowl turned upside down with glass placed on top so its a very simple but effective coffee table design. 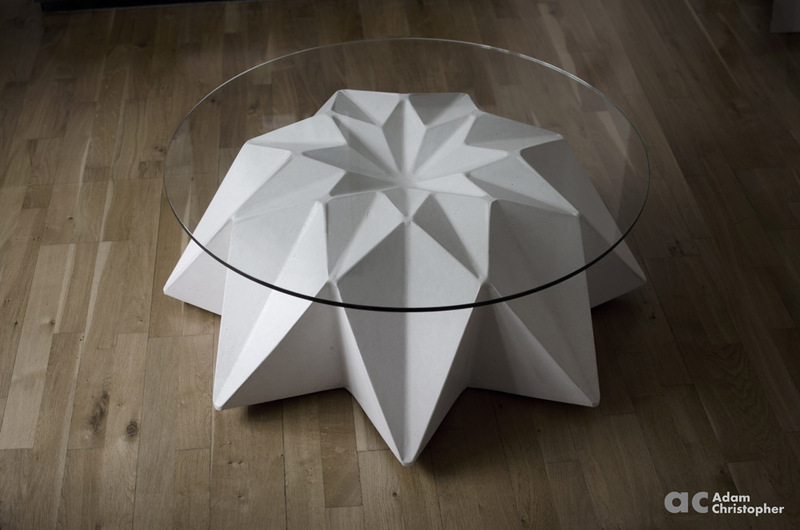 The table in the picture is made from white concrete and has 90 cm diameter glass on top. 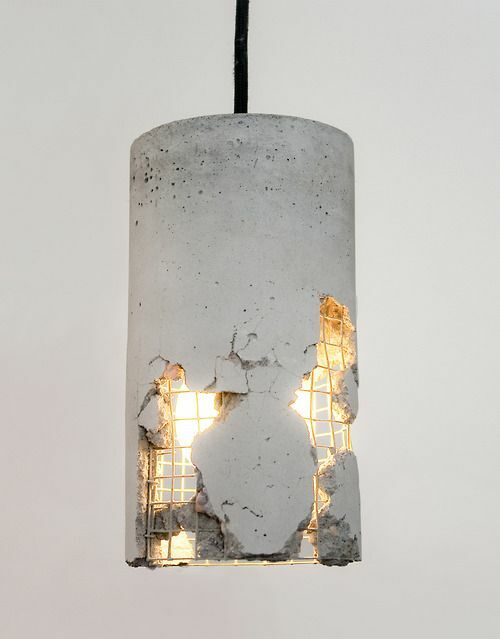 This lamp caught my eye because it is about as industrial as it comes. The concrete reinforced with steel and smashed screams New York attic. I think it looks great, a real conversation piece and probably pretty fun to make as well. 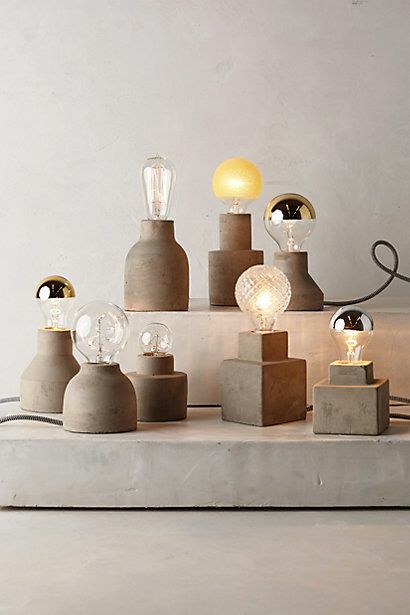 This was a DIY project by Nwelt so if you follow the link it will show you how to do it but sadly you can’t buy the concrete lamp off the shelf. 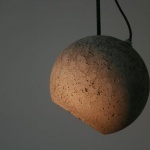 Concrete lighting is circulating the web at the moment and these anti gravity designs are very interesting. 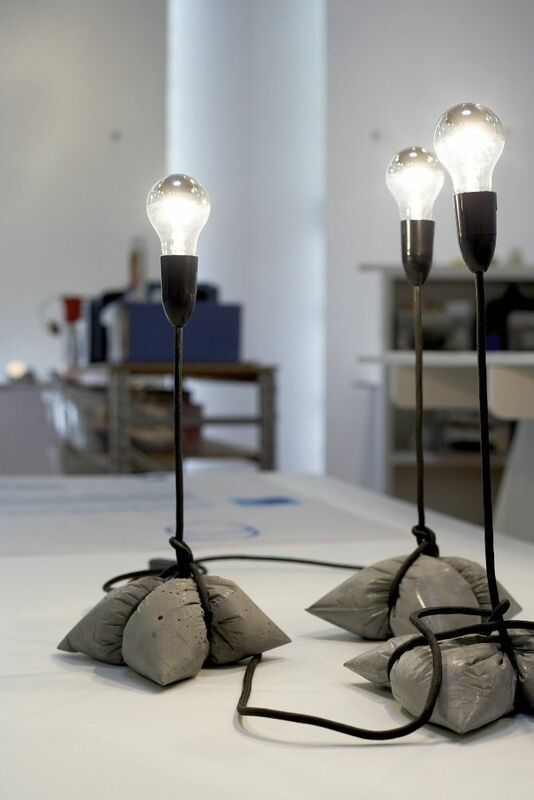 The designer actually made them as part of a range that utilises the wasted heat generated by tungsten bulbs and stores it in the concrete blocks you see here. 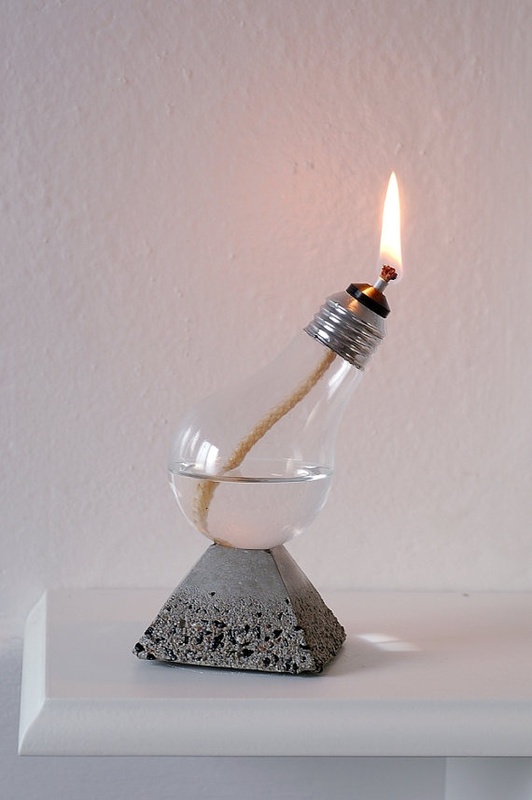 They are shaped around the bulb to get the most heat but by solving one problem they become a bit less efficient at being a light. Still these ones above ticked all the boxes and rate as cool in my book! Though this looks like an easy build, especially when you see the other stool in this post, I can assure your from experience that when it looks easy it won’t be. 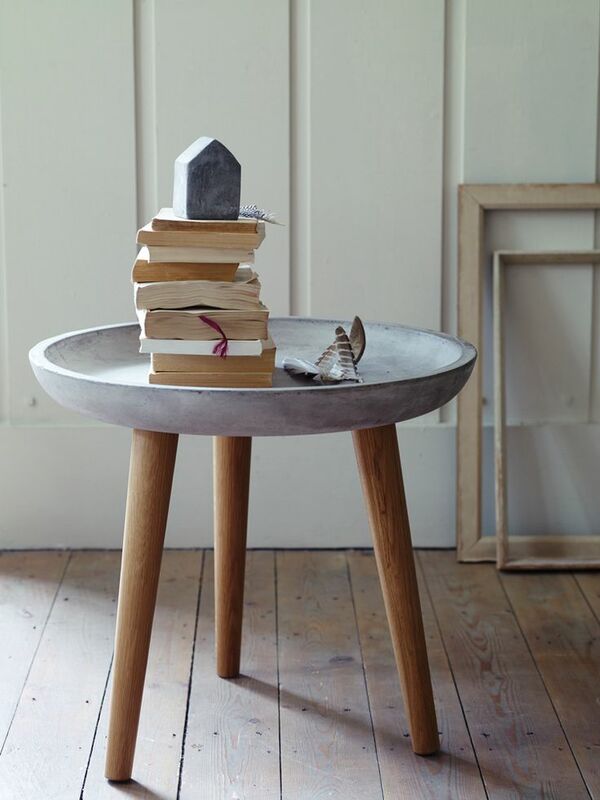 Subtle details like the curvature of the concrete bowl and the taper on the legs makes the elements of this desirable stool not off the shelf. 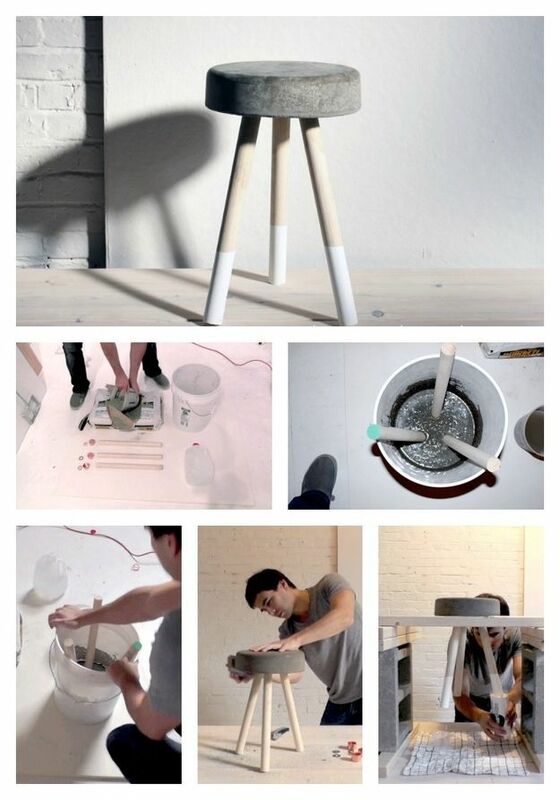 You can make something similar though if you follow the link to the other stool further down. 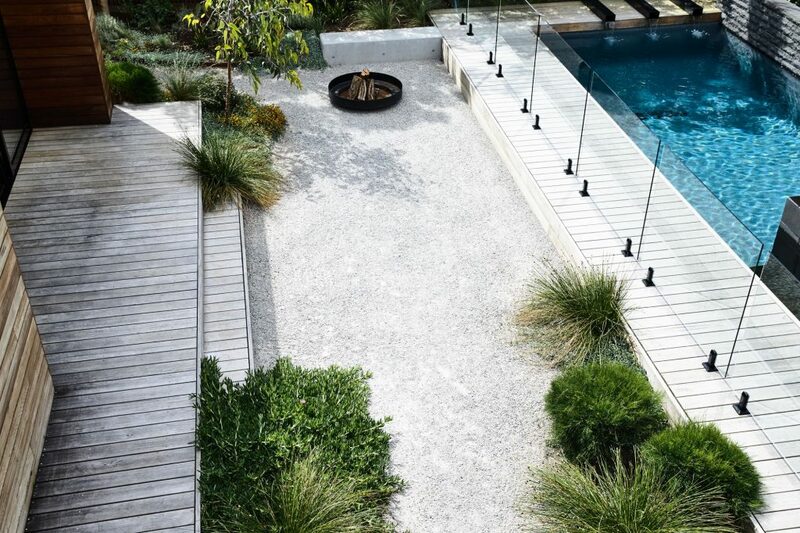 When concrete ages in gets really rough looking which is a look all by it self. 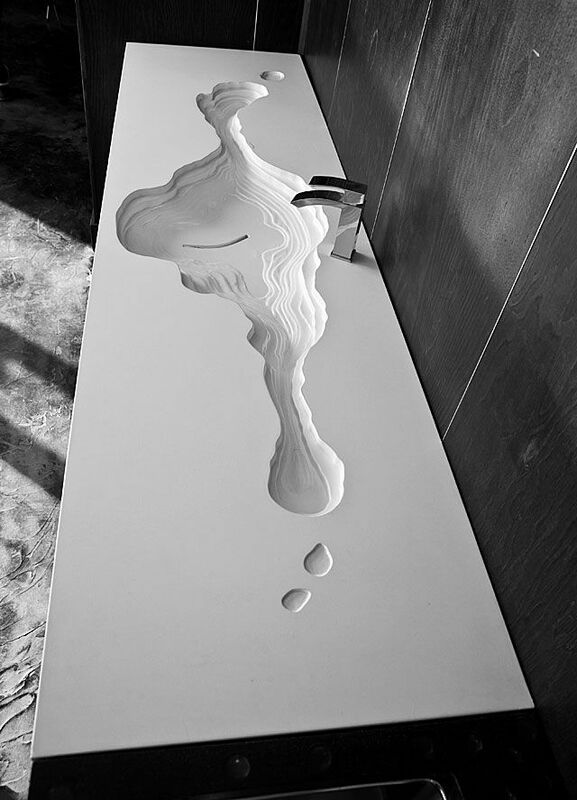 This bath has that patina and you can see how different it is to the other products. The reason for this will most likely be it’s purpose and daily use. 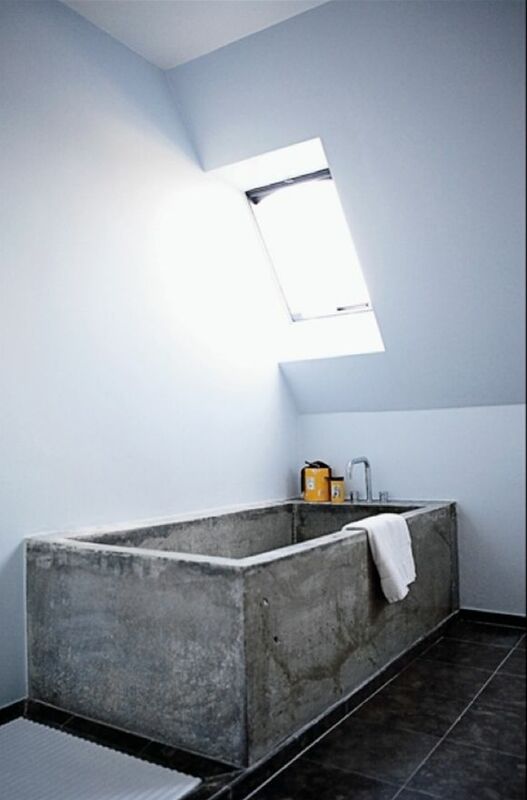 As a bath it is subjected to water treatment which will stain and alter the concrete as you see here. 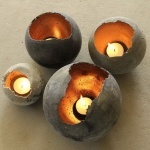 These little beauties are very nice little decorative lamps that play on the concrete theme well. 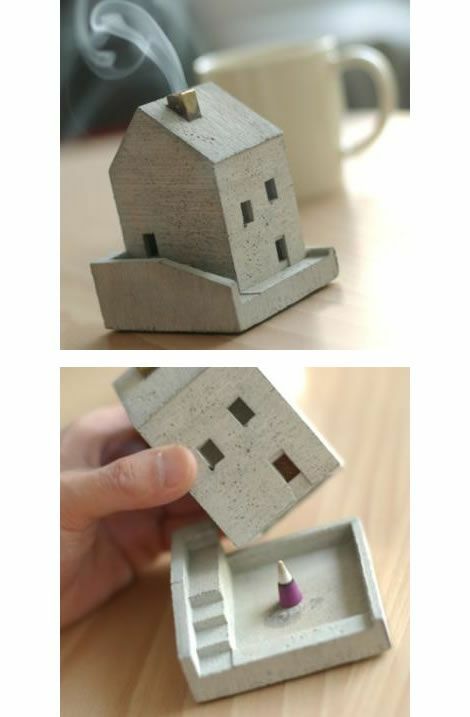 I thought this was particularly relevant to me as I used to design toys for LEGO so to see a concrete version made me laugh. These will have been a custom project as the LEGO logo is protruding from the top so any company reselling the item would be infringing on copyright sadly. 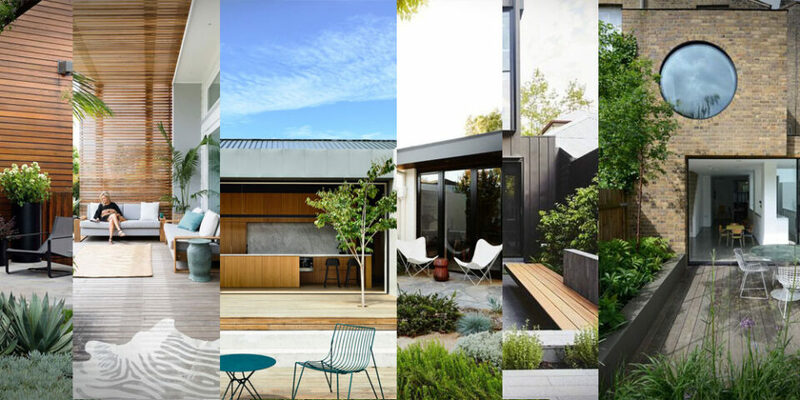 You can buy a brick yourself and make your own though if you have handy man skills! 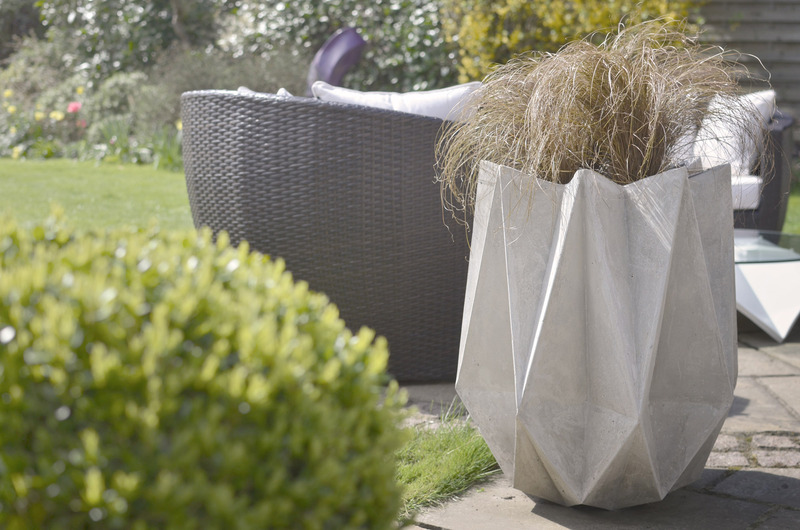 As we saw from the image of a stool further up you can make something similar yourself with relative ease. 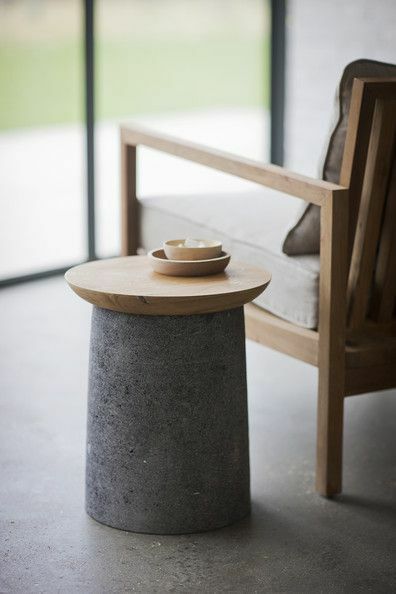 This link from Buzz feed takes you through how to make a concrete stool that will be a striking feature in your home. It really was genius thinking of this and the virility of the image on Pintrest reinforces that. 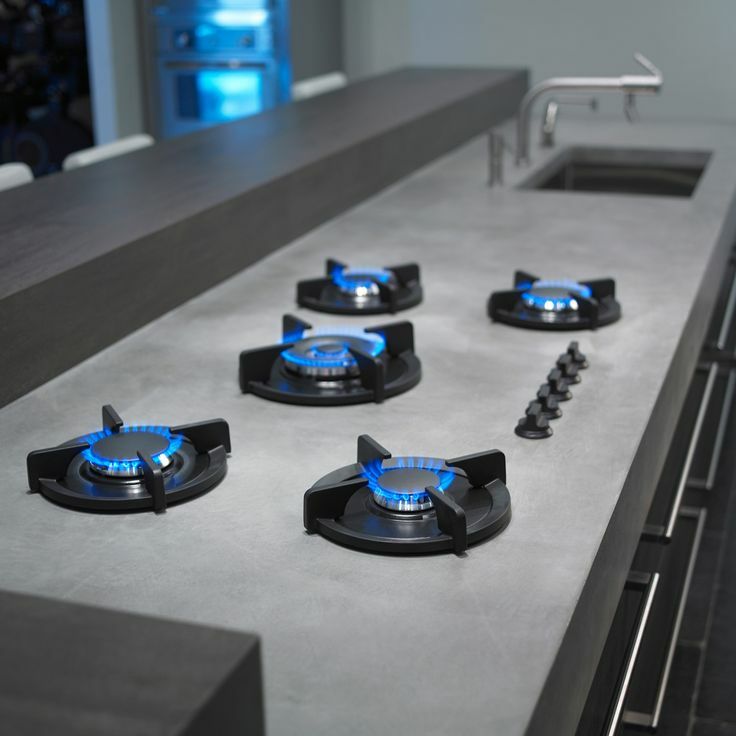 The curves on their own are artistic but the function really allows people to relate to the product and see how clever the idea was. 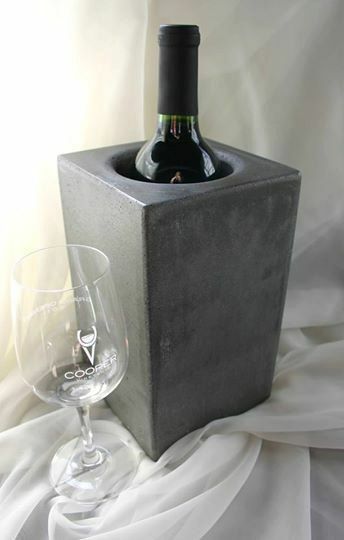 One of concrete’s properties is that it retains it temperature well so if you are looking for a cooler then shoving a block of concrete in a freezer will do the job. It work in the same way as an over night storage heater and plays on the same properties as the anti gravity lamp project we saw earlier.